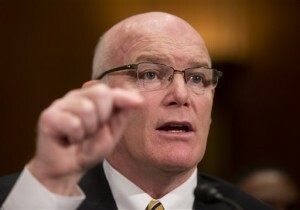 WASHINGTON, D.C. (AP) — A new government report concludes that scores of Secret Service employees improperly accessed the decade-old job application of the congressman who was investigating scandals inside the agency. An assistant director was caught suggesting officials leak embarrassing information to retaliate against Rep. Jason Chaffetz, the Utah Republican who is chairman of the House oversight committee. The report said the actions could represent criminal violations under the U.S. Privacy Act. Employees accessed Chaffetz’s 2003 application for a Secret Service job moments after the start of a March congressional hearing about the latest scandal involving drunken behavior by agents. Some forwarded the information to others. At least 45 employees viewed the file. An assistant director suggested leaking the information about Chaffetz two days before The Daily Beast, an Internet publication, wrote about it. You are making some big assumptions fun bag and when you do that make mistakes. Mistake mistake mistake! Bush Derangement Syndrome is like the clap; it never goes away. You know so much fun bag that even when you don’t know you insist you do know. Even when some one corrects you, you are so smart that you know better. Can you spell the Word fool? Go look in a mirror that should help you figure it out. Scumbag, you carry your stupidity on your shoulder like it was some kind of trophy or award. Desperation leads fools to commit stupid acts. Now, lets have your anti-Mormon slam for this Thursday. Ready??? “Here’s Scummy”…. What was the embarrassing secret? That he applied to work for the secret service in the first place.